The United Kingdom Christchurch Earthquake Appeal (The UK Appeal) was set up following the earthquake in February 2011 by the New Zealand High Commission in London and expatriate New Zealanders living in the United Kingdom. The UK Appeal is a British charity that supports fundraising for Christchurch in the United Kingdom and allocates those funds to earthquake recovery initiatives in the Canterbury region. The Trustees are Sir John Buchanan (Chair), Kent Gardner, Euan Harkness, Julie Maxton, Dame Judith Mayhew Jonas, Dominic O’Connell and Eric Tracey. Chris Welch is the honorary Treasurer. Step Up 4 Christchurch, where some 1,000 people took part in a 1,037-step charity stair climb at London’s famous Gherkin Tower on 22 May 2011. 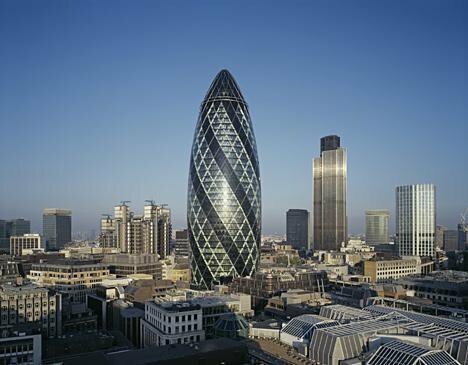 This event was hosted by one of the Gherkin’s owners, Evans Randall, a UK-based company with strong ties to New Zealand. Two of the three partners, Kent Gardner and Paul Kendrick, are New Zealanders as well as several of the staff. The event raised more than £325,000 for the UK Appeal. A Gala Dinner held at the Savoy Hotel on 5 July 2011. This event, which was organised by Melissa Gilmour of Three’s A Crowd Events Limited, featured a special live performance by Neil Finn of Crowded House and a charity auction. The event raised almost £100,000 for the UK Appeal. A Gala Reception and charity auction held at the Gherkin Tower on 27 June 2011. This event was organised by Katy Everett and the group London4Christchurch and was sponsored by Linklaters and Bank of America Merrill Lynch. It raised approximately £85,000 for the UK Appeal. Both individuals and corporations have also been very generous with their support. For example, Aviate Global, a UK and US-based stockbroking firm founded by two New Zealanders, Guy Gibson and Gary Paulin, donated a day’s trading to support Christchurch, which raised more than £250,000. To date, the UK Appeal has supported a variety of charitable initiatives in the Canterbury region in a number of areas of need, including hardship, spiritual and recreation and leisure. The UK Appeal has, for example, supported women’s refuges in Canterbury; funded repairs to important sporting facilities; supported the performing arts; and funded tertiary academic research into Earthquake Science. The UK Appeal works closely with the Christchurch Earthquake Appeal Trust that was launched by New Zealand Prime Minister John Key. The UK Appeal is, however, an independent charity registered in England and Wales (1141365) and is governed and operated by independent Trustees. More information about the UK Appeal can be found in its Annual Report and Financial Statements. Click here to read the Annual Report.